This is a statement for Peace and Tolerance. Too much hate and intolerance in this world. 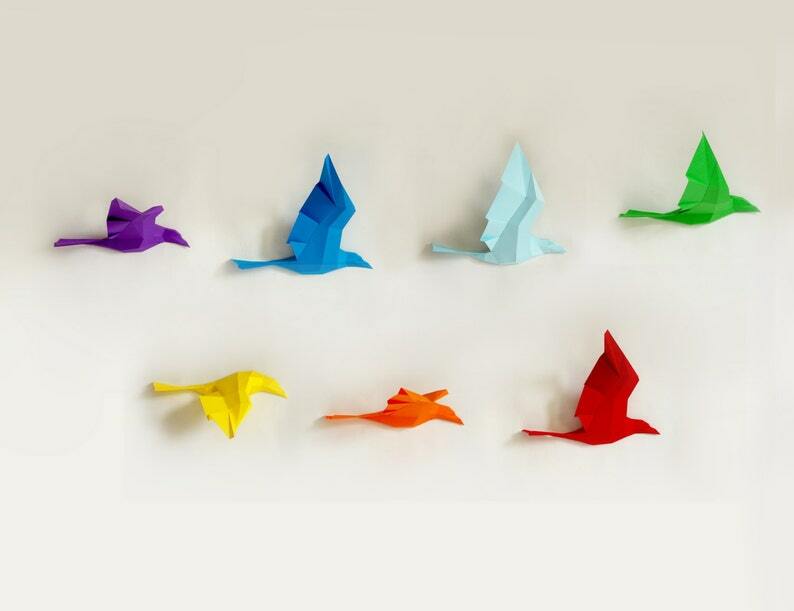 Time to show the rainbow on your wall. Leave away the light blue bird and you have the colors of the LGBT flag. 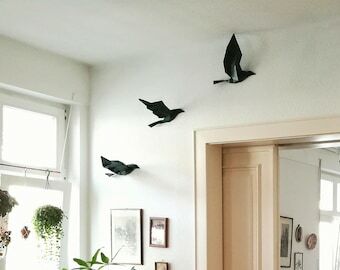 This Flight of Birds is an animated wall sculpture. Each Bird represents one time slice of a raven's wing beat. Assembling takes only 1 hour per bird and will need some spatial sense and a good portion of patience. The result is very rewarding! An instruction manual helps you to put together the birds in the right way. If you still struggle, you'll find my email address in the instructions personal Paperwolf support. 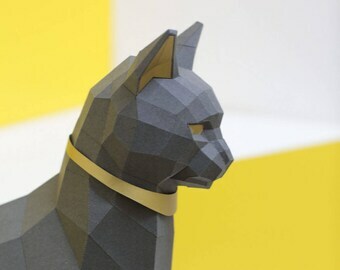 Thought by Paperwolf, developed and designed in computer - assembled by you! 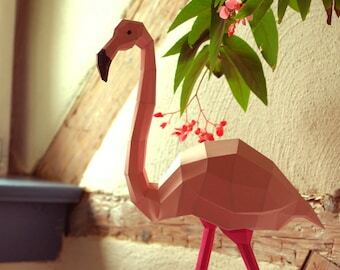 If you would like to practice with a simple object first, just add an original Paperwolf ColorCube to your order! Looking for the birds in "raven colors"? It shipped fine . I tried to put it together as easy instructions but could not make it . I went to others family and friends to help me to put it together and still not able .. so lots of money of a Great Wall views to have put down on me . Thanks .. maybe someday have it completed one could be purchased than trying to put one together . To exercise the right of withdrawal, you must inform us (Paperwolf, Wolfram Kampffmeyer, Alter Turmweg 3, 78267 Aach, Tel. : 0174-6744482, E-Mail: paperwolf.productions@gmail.com) of your decision to withdraw from this contract by an unequivocal statement (e.g. a letter sent by post, fax or e-mail). You may use the attached model withdrawal form, but it is not obligatory. The right of withdrawal expires for custom-order products and big size trophies (Deer, Bear Elephant, Horse, Lion etc). No withdrawal for other than standard colors for my paper sculptures. Standard colors are those in which the sculptures were built and photographed as example in the product pictures. We recommend PRITT® Glue Stick. Many cheaper glue sticks won't hold together and will disappoint you. Also very handy is Bookbinder Glue which adheres very fast. So you'll need to work fast and precise - recommended if you have some experience with papercrafting. 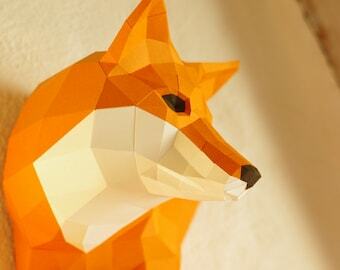 How long does it take to assemble my Paper Sculpture? 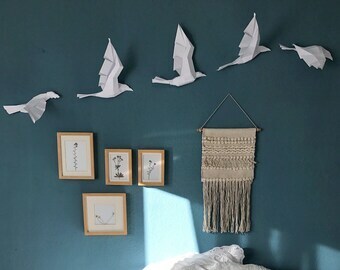 Each paper sculpture takes different times to put together. This depends on your experience and on the complexity. Our Meerkat, which is one of the smaller papercraft kits, will take around 4 hours to put together. Deer 6 hours, Cow and Bear maybe 5 hours. Our most complex sculptures like Moose and Unicorn will take around 10-12 hours. If somebody helps you, you'll be finished much faster. A rainy afternoon never was so much fun! How do I hang it on the wall? Each wall trophy comes with a small adhesive hanger similar to a stamp with a small metal hook. Wet it, press it on the back and wait for a couple of hours. In addition, the trophy has an opening on the backside. All you are going to need is a simple pin which you stick into your wall. 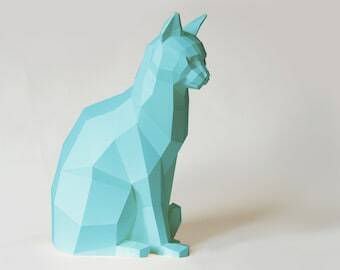 Our paper sculptures weigh only a couple of hundred grams.